Length: 74 hrs. 29 min. Would you believe it took nearly 500 years to translate the ESV (English Standard Version) Bible? That's because the ESV builds on the great translations of the past - including William Tyndale's New Testament of 1526 and the King James Version (KJV) of 1611. But the ESV Bible also builds on the best Christian scholarship of the last 100 years. The result is a fresh and compelling Bible translation, with a timeless quality, that's trustworthy and true. That's why the ESV "sounds like" the Bible - with the kind of beauty, clarity, and dignity that we love to hear and read. That's also why the ESV retains the Bible's rich imagery and theological words - words like grace and justification and salvation - that are essential to our faith. 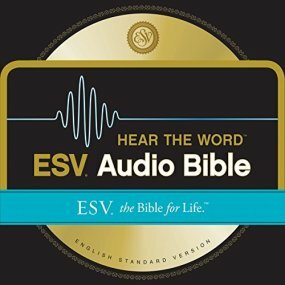 This audio bible is read by David Heath.